In Florida, a party can recover attorney’s fees if it has a contractual or statutory basis. If a party has neither a contractual or statutory basis to recover attorney’s fees, another vehicle is to serve an Offer of Judgment (also known as a Proposal for Settlement). 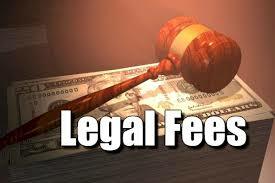 Whether there is an argument to recover attorney’s fees is an important consideration. 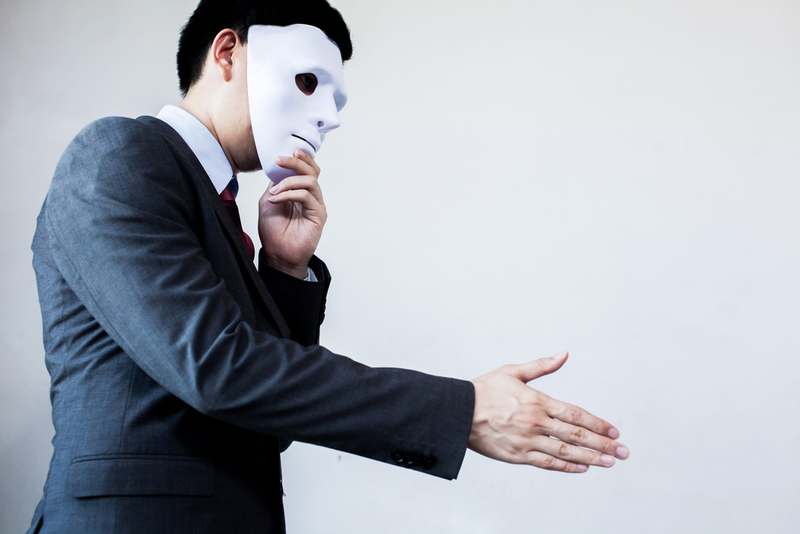 The Florida Deceptive and Unfair Trade Practices Act (“FDUTPA”) is a consumer-protection related law designed to allow parties to sue other parties for deceptive and unfair trade or business practices. FDUTPA is discussed in more detail in http://www.floridaconstructionlegalupdates.com/actual-damages-under-floridas-deceptive-and-unfair-trade-practices-act/. There are certain circumstances when asserting a FDUTPA claim is worthwhile and should be explored such as when a party is looking for a statutory basis to recover attorney’s fees. The reason the word “may” is highlighted is because this is permissive, not mandatory, language. In other words, it is not automatic or mandatory that attorney’s have to be awarded to the prevailing party, but they could (i.e., may) be awarded. This is an important distinction. However, recently, Florida decisions have indicated that attorney fees should be mandatorily awarded to the prevailing party in a FDUTPA action. Bull Motors, supra (internal quotations omitted). Bull Motors relied on the Florida Supreme Court’s decision in Diamond Aircraft Indus., Inc. v. Horowitch, 107 So.3d 362 (Fla. 2013). In Diamond Aircraft, a plaintiff asserted a FDUTPA claim against a defendant. However, it was determined that FDUTPA did not apply because Arizona law, not Florida law, governed the case. Thus, the defendant prevailed under the plaintiff’s FDUTPA claim. A question certified to the Florida Supreme Court to answer was whether FDUTPA entitled a prevailing party to attorney’s fees if the court determines that FDUTPA does not apply to the case because the substantive law of another state (in this case, Arizona) applied. The Court stated that it did (or answered the question in the affirmative) holding that by a plaintiff asserting a FDUTPA claim, it exposes itself to both the benefits and potential consequences of the statute. Further, the Court expressed: “Under FDUTPA, a prevailing party is entitled to reasonable attorney’s fees and costs in civil litigation arising from a violation of that act ‘after judgment in the trial court and exhaustion of all appeals.’” Diamond Aircraft, supra, at 370 quoting Fla.Stat. s. 501.2105. Hence, even though the statute contains permissive language, there is strong legal authority that would mandatorily entitle a prevailing party to recover attorney’s fees. This cuts both ways. This means that a plaintiff could expose itself to attorney’s fees by improperly asserting a FDUTPA claim without facts to support a deceptive or unfair trade practice or without evidence to support actual damages as provided under the statute. Plaintiffs need to be cognizant of this before asserting a FDUTPA claim. In a nutshell, a defendant can recover its attorney’s fees if it serves an Offer of Judgment and the plaintiff gets a $0 judgment against the defendant or the plaintiff gets a judgment of at least 25% less than the offer. For example, and using simple math, let’s say the defendant serves an Offer of Judgment for $100,000 and the plaintiff obtains a net judgment against the defendant for $50,000. In this situation, the defendant could be entitled to its attorney’s fees from the date of the Offer of Judgment and forward since the plaintiff obtained a judgment of at least 25% less than its $100,000 Offer. And, if a plaintiff serves an Offer of Judgment, it can recover its attorney’s fees if gets a net judgment of at least 25% greater than the Offer. Let’s say the plaintiff serves a $100,000 Offer of Judgment and recovers a net judgment against the defendant for $150,000. In this situation, the plaintiff could be entitled to its attorney’s fees from the date of the Offer of Judgment and forward since the plaintiff obtained a judgment of at least 25% greater than its $100,000 Offer. “Courts have also held that when a plaintiff seeks both monetary and nonmonetary relief, and a party makes a general offer of settlement, section 768.79 is not applicable. The reasoning adopted in those decisions is that strict construction of the phrase “any civil action for damages” in the offer of judgment statute does not include a claim for equitable relief, or one that involves claims for both monetary and nonmonetary relief. Diamond Aircraft, 107 So.3d at 373-74 (internal citations omitted); accord Bull Motors, supra (“The offer of judgment statute, section 768.79…does not apply to cases that, as here, involve a general offer seeking release of all claims in the case, both equitable and monetary.”). Under Florida’s Deceptive and Unfair Trade Practices Act (“FDUTPA”), a party can only recover in principal what the statute refers to as “actual damages.” See Fla. Stat. s. 501.211(2) (“In any action brought by a person who has suffered a loss as a result of a violation of this part, such person may recover actual damages, plus attorney’s fees and court costs….”) However, the statute does not define the term actual damages and, thus, parties need to analyze Florida caselaw to understand the meaning of actual damages. This is important so parties know the damages covered under FDUTPA. A claim under FDUTPA is sometimes asserted in a construction-related dispute. Sometimes, it is asserted if a party is seeking an avenue to potentially recover attorneys’ fees. Florida courts (or federal courts interpreting Florida law) have maintained that “actual damages” refer to the “difference in the market value of the product or service in the condition it was delivered and its market value in the condition in which it should have been delivered according to the contract of the parties. A notable exception to the rule may exist when the product is rendered valueless as a result of the defect-then the purchase price is the appropriate measure of damages.” Rollins, Inc. v. Butland, 951 So.2d 860, 869 (Fla. 2d DCA 2006) quoting Rollins, Inc. v. Heller, 454 So.2d 580, 585 (Fla. 3d DCA 1984). This is similar to benefit of the bargain damages – the market value of the product represented minus the market value of the product delivered. See Gastaldi v. Sunvest Resort Communities, LC, 709 F. Supp. 2d 1299, 1304 (S.D.Fla. 2010). Based on the way Florida cases define actual damages under FDUTPA, a party needs to prove its damages in accordance with this definition by analyzing the market value of the product represented versus the market value of the product actually received / delivered. – Gastaldi v. Sunvest Resort Communities, LC, 709 F. Supp. 2d 1299, 1307 (S.D.Fla. 2010)– measure of damages would be the difference in the market value of the condominium units with the condominium having a luxury sports club in 2009 [as represented] minus the market value of the condominium units without the condominium having a luxury sports club in 2009 [as delivered]. Notably, actual damages under FDUTPA does not include consequential-type damages (or damages other than those established by the measure provided above). See Dorestin v. Hollywood Imports, Inc., 45 So.3d 819, 824-25 (Fla. 4th DCA 2010) (FDUTPA does not allow for consequential damages or any other damages outside of actual damages); Orkin Exterminating Co., Inc. v. DelGuidice, 790 So.2d 1158, 1162 (Fla. 5th 2001) (actual damages do not include actual consequential damages). For example, lost profits or interest on payments would not be a recoverable consequential damage. See Rodriguez v. Recovery Performance & Marine, LLC, 38 So.3d 178 (Fla. 3d DCA 2010) and Siever v. BWGaskets, Inc., 669 F.Supp.2d 1286, 1294 (M.D.Fla. 2009). Understanding actual damages in a FDUTPA claim is important prior to asserting a claim so that a party knows what is recoverable and what is not recoverable under FDUTPA. It is also important so that a party knows how to prove actual damages.